*All graphics, digital stamps and paper piecing patterns are © Copyrighted by Digi My World. DigiMyWorld reserves all ownership and copyrights to the content, graphics and artwork in all of the items for sale on www.DigiMyWorld.com and any reseller websites. *Purchase(s) grants you the license to use my designs as specified in these terms for one website/person/business, but the copyright still remains with Digi My World as the original artist. *Do not claim Digi My World clipart as your own, or create other clipart collection products with our products. We will prosecute to the fullest extent of the law. *A link back to Digi My World is required if you are using ANY of the graphics online with full credit to Ann Kelly as original designer. *If you are using any of our Free graphics online, you must also provide a link back to Digi My World. Resellers--- we WILL allow the reselling of some of our clipart/stamp items. Please request an account (we need to approve you) and to make sure your site will be a good fit for our products! *You MAY create something new with the clipart from this site, that you intend to sell or use for your own personal use. *You MAY use my clip art to create printables and sell them as a finished item. *You can use the clipart for your own personal use or to decorate tangible (handcrafted) items you sell via any website (your own or multi-vendor) or at craft shows etc. 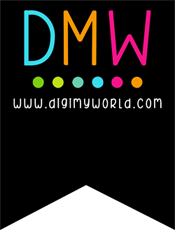 *All of the graphics purchased at Digi My World may be used online, in print ads, on business cards, office supplies, etc. Graphics may be used on YOUR personal or commercial website only. Projects may include (but are not limited to) cards, scrapbook pages & layouts, paper piecing, labels, tags and any handcrafted item. *Webdesigners may PURCHASE our collections to create websets to sell for their clients, but you must make something new from the collections into the sets. *You may not share or redistribute these graphics. *You may NOT use any of the clipart content for any kind of club or subscription service. *You may NOT colorize or change colors of the original clip art, or alter it in any way and claim it as your own. *WEBDESIGNERS- you can NOT purchase my clipart to resell or provide them to your clients BUT you can make websets and sell them to your clients. *You may not use this designs for print on demand services such as Cafepress or Zazzle. No part may be used to create a printed product (pattern) for resale or distribution. If you are unsure of anything, please just send us an email for verification. We reserve the right to alter these terms and conditions at any time --and we MAY offer more uses for our items as our site continues to grow. Please remember that this license is non transferable to another person. Please do not give or share your purchases with another individual or group of individuals.